Founded by Emily Mills in 2010, How She Hustles is a vibrant network of diverse women that connects through social media and special events with up to 400 guests in Toronto. For eight years, How She Hustles has hosted a range of buzz-worthy events including: a wildly popular women’s brunch, inspiring panels where women share their personal and professional journeys, a meet-up for diverse female entrepreneurs, a pop-up shop exclusively for women-led start-ups, and seasonal networking events. These events have sold-out consistently, with a guaranteed waiting list, and frequently trend on Twitter. 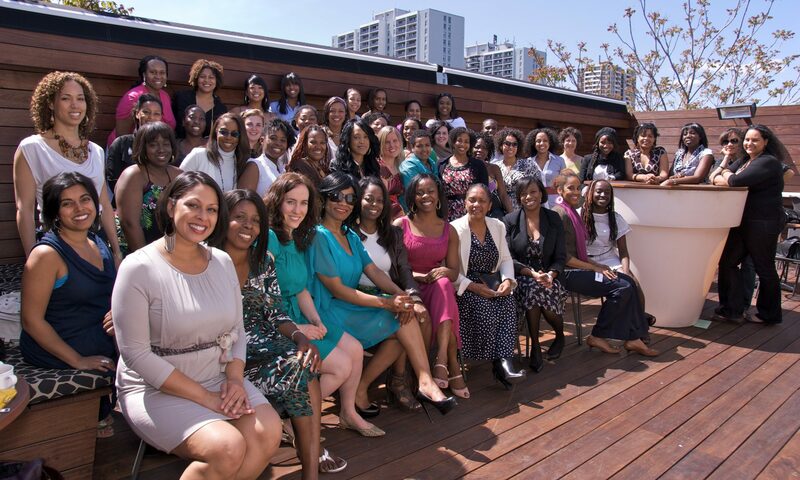 Women attend to network, get inspired, and share tips on how to achieve success. How She Hustles lead the creation of HERstory in Black, a digital photo series of 150 black women as seen on CBC. The project earned the attention of the Prime Minister on social media, national press coverage, became a 1-hour TV documentary, lead to an unprecedented celebration at the CBC Broadcasting Centre, and earned the prestigious CBC President’s Award. Through Facebook, Twitter, Instagram and Youtube, How She Hustles maintains a highly-engaged virtual village of social influencers and supporters. Digital content has included a Friday Facebook live series, Q&A profiles of women to watch, and contests and promotions for women-led events and businesses. The network’s primary reach is diverse women under age 40 who are rising corporate leaders and entrepreneurs in Toronto and the GTA. Event guests have included CEOs to Consul Generals to Olympians, and Juno-award winning musicians to media personalities from CBC, CP24, CTV and Citytv. Although How She Hustles is based in Toronto, the brand has a loyal following of women in different parts of Canada, the United States, Europe, Africa, The Middle East and the Caribbean. For highlights of our work, see our videos and events pages.